Japan is such a unique country to travel to. From the skyscrapers in the hustin’ city of Tokyo to aqua blue waters surrounding the islands of Okinawa. Despite the range of experiences available here, Japan has a distinct culture – one that tourists are always commenting on. To help my fellow travelers, I’ve put together a guide of things you need to know before heading to Japan! This covers everything from culture to budgeting. 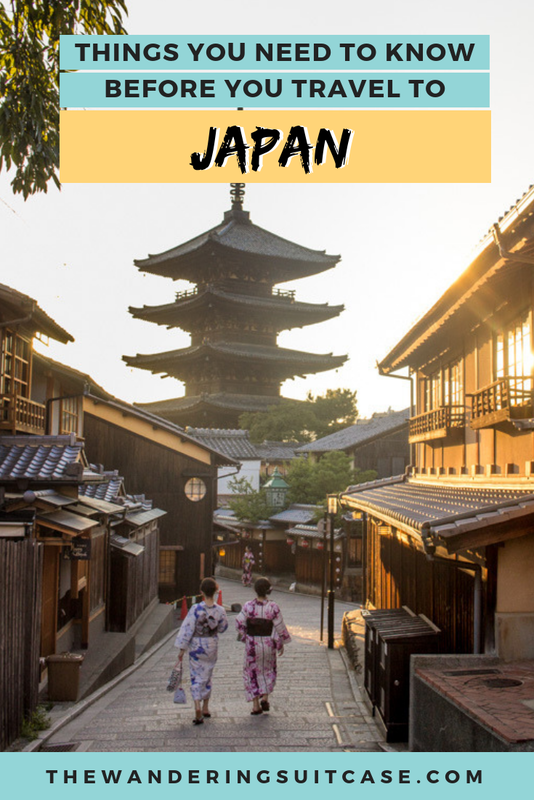 So if you’re heading to Japan soon, read on for the things you need to know before going to Japan! This might sound a little strange for those who wear shoes inside their homes! But in Japan, it is considered unhygienic to wear shoes indoors, especially when the flooring consists of tatami mats. Psst: not sure what tatami is? It’s a type of traditional indoor flooring made from straw. If you want to learn more, this article goes into detail about what Tatami is made of + how it’s made! Being asked to remove your shoes can happen at your accommodation (you will be given a pair of indoor shoes to wear and trust us when we say the floor will be clean), in small restaurants and in some temples. All you need to do is remove your shoes (if you’re wearing socks you can leave them on) and leave your shoes at the designated place. Just look out for signs and/or the telltale sign of shoes! Psst: and don’t worry about your shoes being stolen – crime is very rare in Japan! 2. Never litter in Japan: it’s highly frowned upon! If you have rubbish, throw it in the next available trash can (convenience stores usually have trash cans available), or carry it around with you until you find an appropriate place to dispose of it. 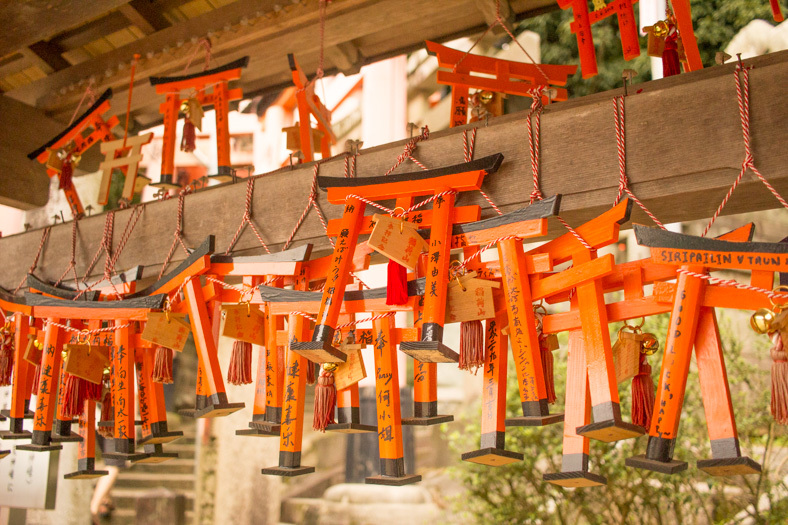 For first time visitors to Japan, you’ll find that many of the must-see tourist attractions involve a temple or a shrine. Sometimes visitors get confused between the two, after all, they’re both related to religion, right? 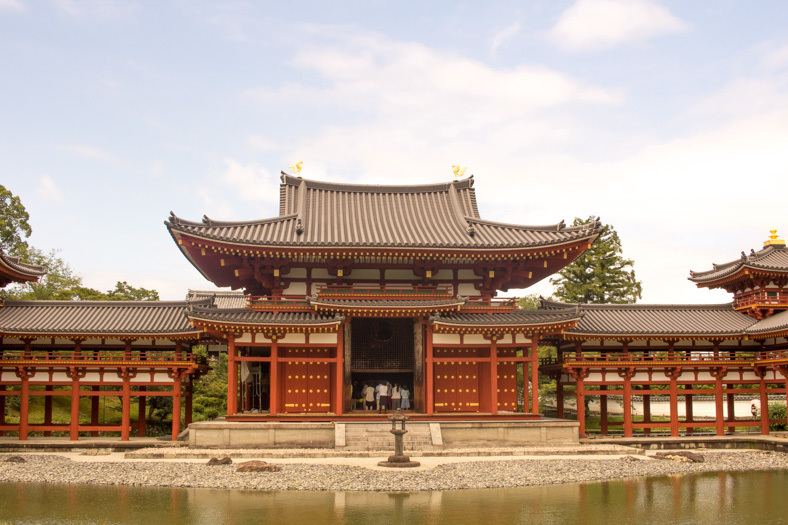 In basic terms, temples are Buddhist and Shrines are Shinto. 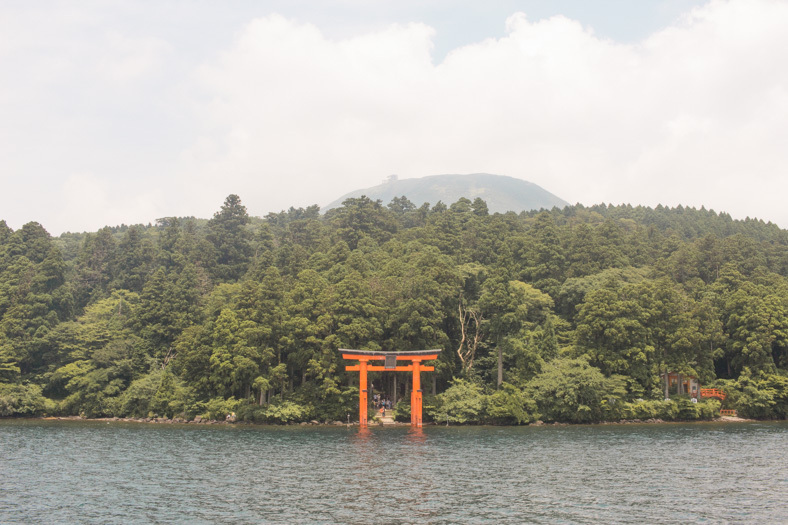 Architecturally, temples often have Buddhist statues, whereas shrines have a distinct gate, known as a torii gate (which is often red). I’ve been meaning to write a post to share a bit more about the differences between the two, but this article here explains a bit more. 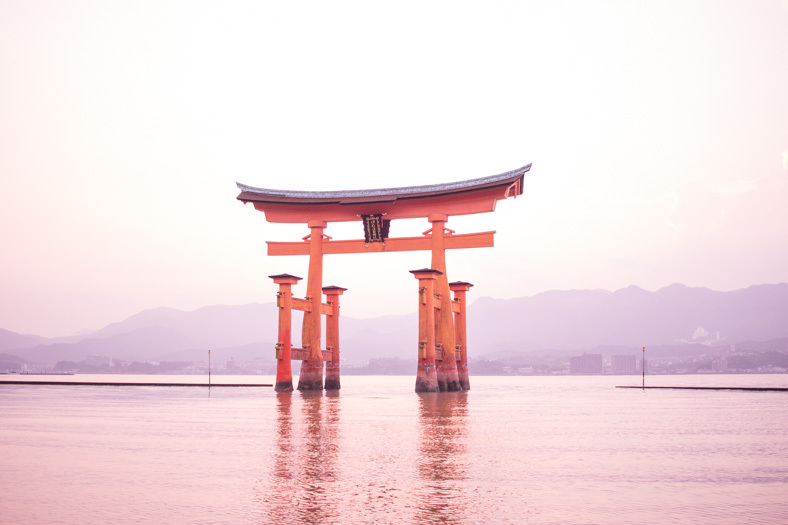 Miyajima Island is home to one of Japan’s most famous shrine, as the torii gate appears to be floating on water! Animal themed cafes are super popular not only amongst locals but also tourists. Many must-see guides include visiting an animal cafe. Examples include cat cafes (where you can get a cup of coffee and get to pat lots of cats) or hedgehog cafes. And while this might be tempting, if you would like to visit one, I would urge you to do your research before you go. Some animal themed cafes have gotten negative media attention for mistreating their animals. And if you care about animal welfare, try to avoid hedgehog or owl cafes. Hedgehogs are not domesticated animals and often are not used to being handled regularly by humans. Owls are nocturnal animals, and it is detrimental to their wellbeing to handle them during the day. If you want to visit an animal cafe, stick to domesticated animals and make sure you do your research beforehand to make sure the animals are treated well! This is the busiest travel week in Japan. Most Japanese office workers take their vacation leave during this time. This means not only are you competing with international tourists, but local tourists too! If you are visiting during this week, make sure you book your accommodation ASAP to avoid needing to pay more or the accommodation being fully booked. 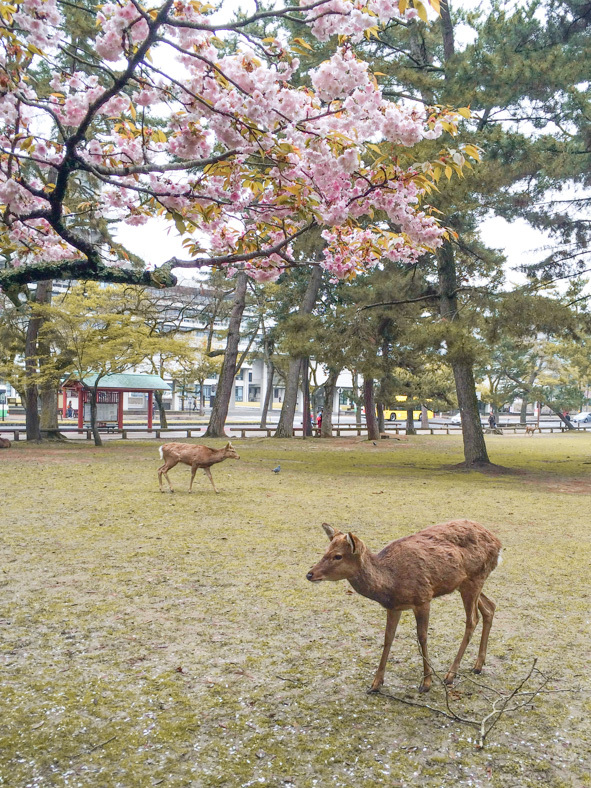 In 2019, Golden Week is from 27th April – 6th May. 6. Many tourists want to see Geisha in Kyoto: while this is a wonderful experience, please remember that Geisha are people too! 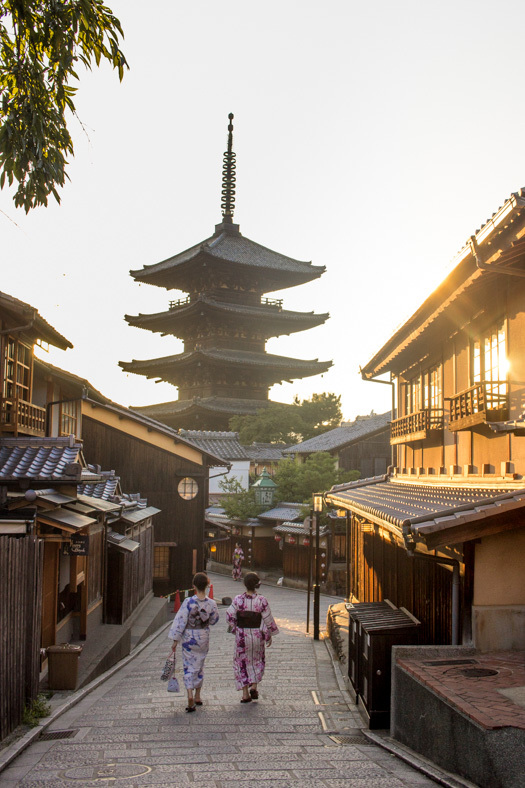 One of the most famous aspects of visiting Kyoto is the Gion corner, which is famed for Geisha. If you want to see a Geisha when you’re here, you can visit a Geisha show, or some tourists like to watch out for Geisha heading out for work. These things seem obvious and common courtesy, but in recent years there have been reports of Geisha being harassed by tourists. 7. Japanese is widely spoken, and while you don’t need to know any Japanese to enjoy your time in Japan, it is helpful to learn a couple of key phrases. In Japan, English is not as commonly spoken. This being said, most Japanese do learn some English while they’re in school. If you’re looking for directions or help, most hotels should have at least one staff member who knows some English or lookout for younger Japanese, as they’re most likely to be learning English in school. Hand gestures, simpler phrasing, and google translate should help! 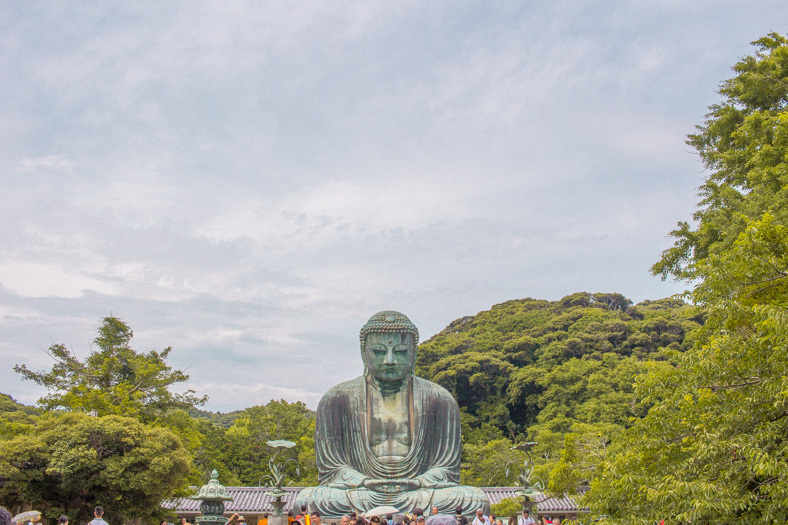 If you’re after a more comprehensive guide, check out my guide to 13 phrases you need to know before traveling to Japan! 8. Most Japanese (especially young people!) know more English than they admit. 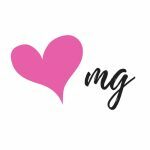 I found most people would tell me that they didn’t speak English, but only for them to understand everything I was saying 😉 I think modesty is at the heart of this – and potentially fear of giving you the wrong advice! If you’re asking for directions or help, simpler phrases, speaking clearly and hand gestures all help! Psst: worried about traveling in Japan when you don’t know any Japanese? Check out my guide to traveling in Japan as an English speaker! 9. Bring comfortable walking shoes! While public transportation is highly accessible, you’re bound to do a lot of walking when traveling in Japan! I regularly get emails from travelers who have been to Japan, and they always mention that they walked more than they thought they would! I made the mistake of not doing this before I first traveled to Japan. Let’s just say it involved a bread roll, the train and laughing a bit too loudly. We were bad tourists. And while no one will blatantly tell you off and you won’t get in trouble! It always helps to respect local customs when you’re traveling! While you won’t get fined for not doing these things (Japan is nice like that) it is considered disrespectful to your fellow passengers if you do speak loudly or eat on the train. 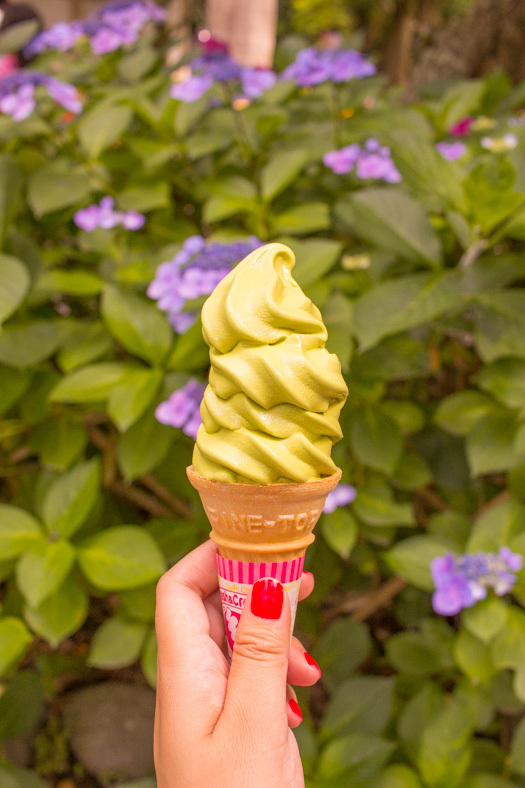 No matcha ice cream on the train! 11. As with many other countries, make sure you give up your seat on the metro for those who might need it. These run during peak hours and only allow women + children onboard. If you are not either, make sure you do not enter the train. These carriages are usually the first or the last carriage (depends on the train line) and usually have pink signage (they will be labeled in English too). They’re hard to miss! If you’re female and traveling with young children (no matter if they’re boys) you can take this carriage too. Unlike other major cities around the world, the trains in Tokyo do not run late into the night. If you’re planning a night out, research your last train. Otherwise, you’ll have to walk back to your hotel or pay for an expensive taxi ride! It just doesn’t exist. Like there will be no Ubers available on your Uber app. This depends on where your driver’s license is from, but for many of us, an International Drivers Permit (IDP) is needed in addition to your regular driver’s license. This includes visitors from the US, Canada, Australia, and the UK. Don’t be worried about this though: it’s not super common! In all my time in Japan, it has only happened to me a handful of times. When I was younger, my family and I had an amazing restaurant experience in Japan, and we wanted to tip the staff – they chased us down the street to give us back our tip, and refused to accept it. 18. Chopsticks are the most common eating utensil in Japan (unless you’re eating Japanese curry, then you will be given a spoon). 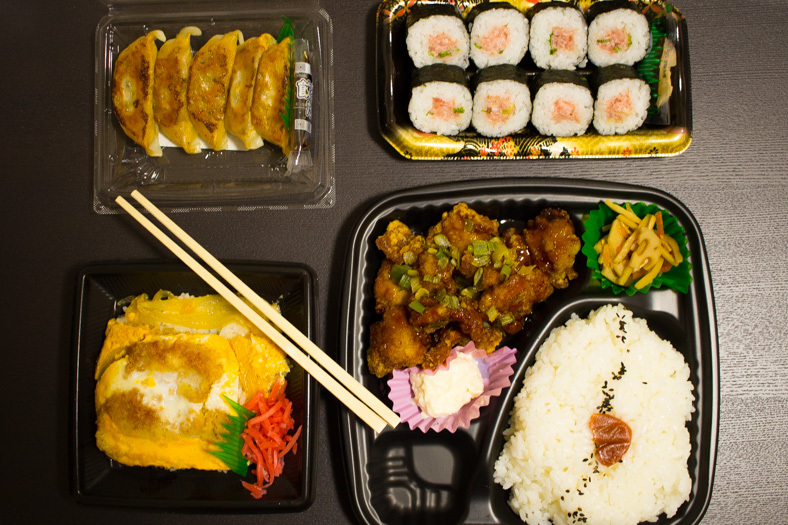 It is rude to point with your chopsticks, poke at things or rest your chopsticks stick sticking out of a bowl of rice. If you want to put them down, rest them on the rim of the bowl or on the chopstick holder. While this isn’t as common as it used to be, you still might come across a restaurant that has an indoor smoking area. If you have kids or don’t like the smell of smoke, look out for a sign outside, or see if you can see anyone freely smoking from the outside if you’re unsure. If you book an Airbnb in Japan, just be wary of this! Some people have their bookings canceled last minute. It is always best to book through a legal hotel, hostel or accommodation when traveling. 21. Some hotels will need you to remove your shoes before entering the premises. 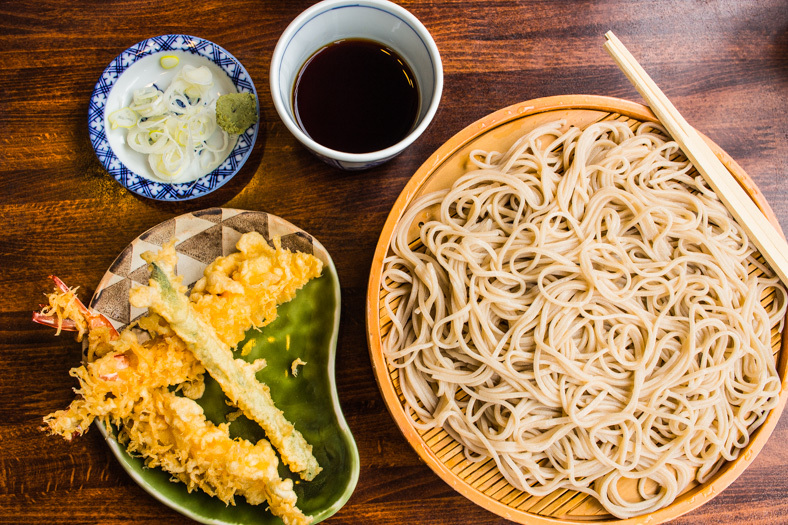 This might sound gross to some, but it is a HUGE part of Japanese culture. If you need to remove your shoes before entering your hotel, you will likely be provided with a pair of clean slippers to wear indoors. We promise you the cleanest floors you have ever experienced! 22. Accommodation tax is applicable in many cities. While this is a little frustrating as a tourist (argh, more costs?!) Japan has a huge number of tourists that visit every year. The tax is usually in the range of 100 – 300 JPY per night and is charged through your accommodation. It goes to the government who use it towards the maintenance of tourist infrastructure. Pay up, and don’t complain – accommodation operators are just doing their job! 23. If you are a non-smoker or do not like the smell of smoke: make sure you book a non-smoking room in your hotel. 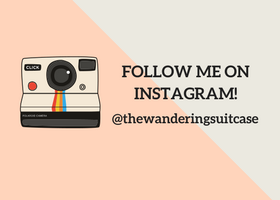 If you’re traveling to smaller towns (if you’re visiting Tokyo, Kyoto or Osaka you don’t need to worry about this!) sometimes the ryokans only have public baths available. This happened to us when we were in Hokkaido – we discovered that our ryokan only had public shared baths, and didn’t have private showers… Whoops! This is incredibly rare and honestly has only happened to me once in Japan. But if you’re not a fan of public bathing, just make sure you read reviews beforehand! 25. Japan is one of the safest countries in the world, and one of (if not) the best country to travel solo in! 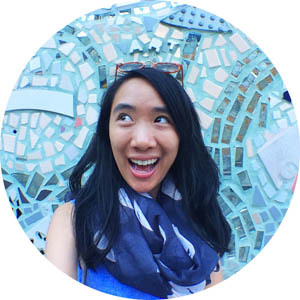 I have traveled many times as a solo female traveler, and have never felt unsafe. While there are very rare instances of crime, if you take standard precautions (and honestly even then – going outside at night in Tokyo I have never felt unsafe) you will be okay! 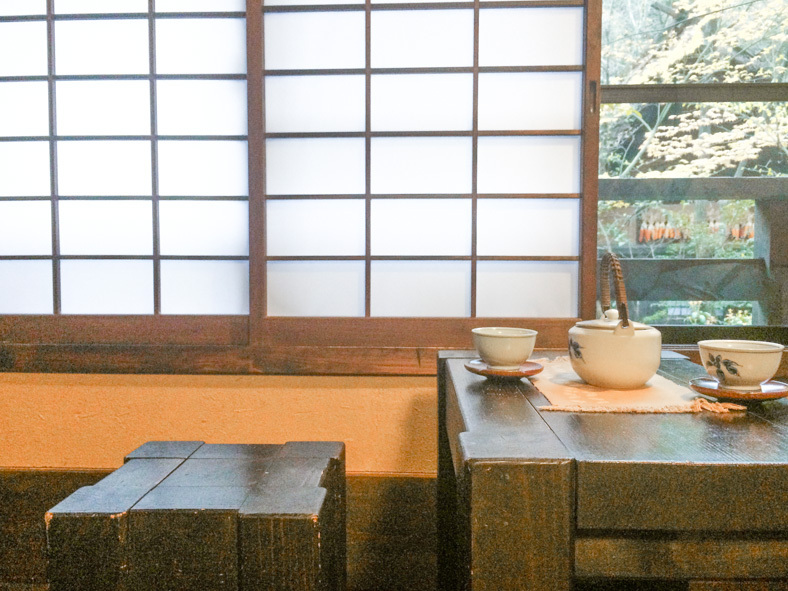 This makes Japan perfect for solo travelers. You never have to feel like the awkward person taking up an entire table. Solo seating in these restaurants is made for solo diners! As a budget traveler in Japan, I would often take overnight buses (one instance was when I traveled overnight from Tokyo to Kyoto). When I booked my seat, I could opt for the “women only” section, which meant I was only seated next to a female. This meant I could fall asleep on the overnight bus without worrying about way-ward hands. Culturally, the Japanese are very honest people. It’s not uncommon to see Japanese office workers passed out after a heavy night of drinking in the suburb of Shibuya, Tokyo. Often, their briefcases or bags are safely next to them – and still with them when they wake up the next day! Once left my passport on a high-speed train in Japan, but only realized when I got off the train. The train was long gone (whoops) but when I arrived at the train station, I reported it missing. While the language barrier made this a bit hard, the staff at the train station were super helpful in trying to help figure out what went wrong. They even asked us to draw a picture of our travel wallet for them! The staff members ended up calling every single train station our train went past – and they managed to locate the wallet! We picked it up later that day with no issues and our passports still present! Moral of the story: theft is very rare in Japan. If you lose something, report it to the train station or the police and they’ll do their best to help you. And if you have issues with translations, try hand gestures, drawings, or you can ask your hotel to help translate for you! 29. Crime is very unlikely in Japan. 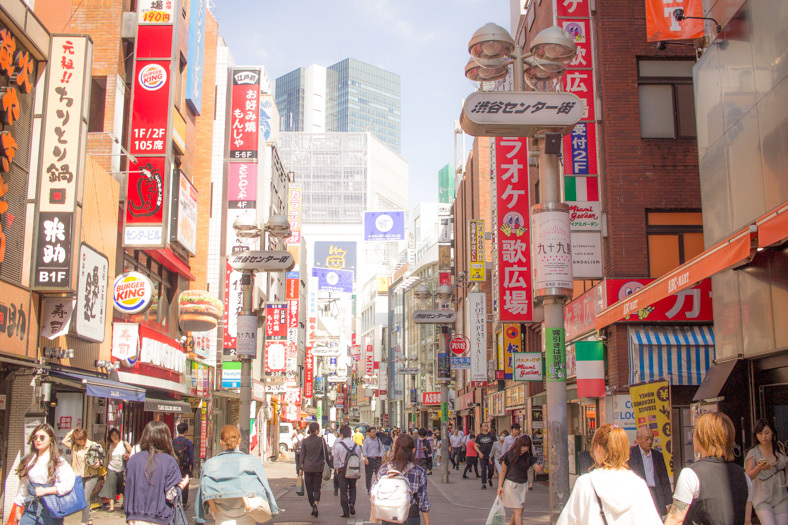 The first time I traveled to Japan, I was so confused about the currency, half the time I didn’t know how much I was paying for things in my local currency! For example, when shopping, an item of clothing could cost 7500 JPY. But what does that mean?? Why are there so many zeroes?! We eventually figured out that removing 2 zeroes from the end of everything gave us the approximate (note: very approximate!) conversion to USD. While we’re from Australia, we were a lot more familiar with USD than in Japanese Yen! So something that costs 7,500 JPY is around 75 USD. Or something that costs 850 JPY is around 8.50 USD. And while this isn’t exact, it’s a nice easy trick to get a sense for what you are paying! 31. While Japan is known to be an expensive country to travel to, it’s possible to travel on a budget here! 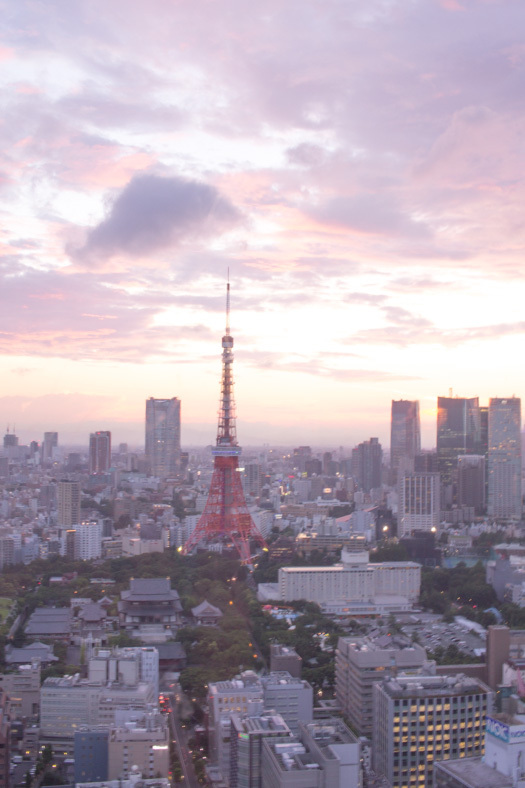 Make sure you look out for sale airfares, and while accommodation can be pricy (especially in big cities like Tokyo) there are so many budget-friendly options available here! 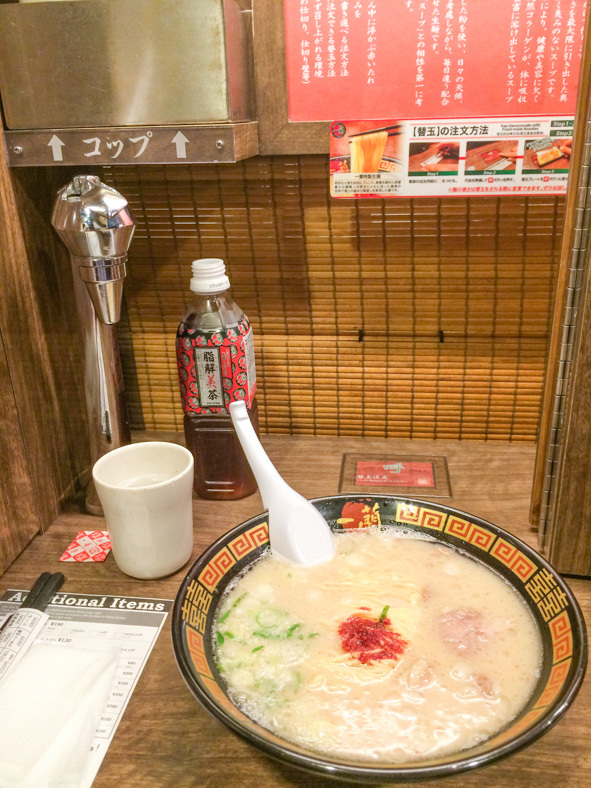 Food can also be cheap – convenience stores (like 7/11) have delicious budget-friendly meals, and ramen bars sell bowls of ramen sometimes for less than $10 USD per bowl. Either bring your own local currency to exchange, or more conveniently, bring your ATM card to withdraw local currency as you need it. Every convenience store has an ATM, and convenience stores are everywhere in Japan! Keep a lookout for smoking signs, and the crowds of your fellow smokers. Also, make sure not to litter your cigarette butts after you’re finished! There are bins for you to throw them in. I don’t say this to scare my fellow travelers from traveling here, but it’s something to be aware of! There would be nights in Tokyo where I’d wake up in my bed with the room shaking. Most often it was so light you could barely notice (my husband slept through them all, which gives you an indicator of how light the tremors were!) but if you do feel a tremor, don’t panic! Make sure you check out this guide on what to do in an earthquake in Japan. 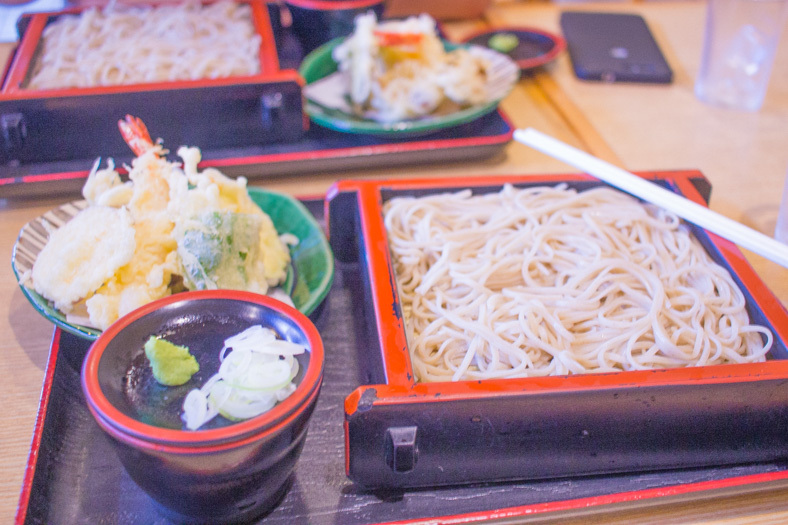 And there you have it – my guide of things you need to know before you travel to Japan. I hope this guide was helpful. I’d love to hear from you – are you heading to Japan soon? Or have you already been to Japan? What did you wish you’d known before traveling to Japan?